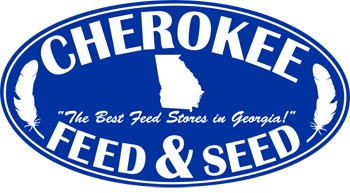 Cherokee Feed & Seed is always working to keep you updated on the latest information going on at the store and in the agriculture world. Watch our videos on our video channel or YouTube channel for more information. Quality Hay Keeps Your Horse..
Monday – Friday: 8 a.m. – 6 p.m.
Saturday: 8 a.m. – 4 p.m.
Saturday: 8 a.m. – 4:30 p.m.
Sign up for our free monthly newsletter! Learn about events and special savings.